The college of surgeons on St.Stephen’s Green in Dublin commissioned us to create a sculptural piece for their foyer refurbishment in 2008. At the time we had been experimenting again with Diatom structures first researched back in 1993/4. We thought about the process of seeing these tiny structures requiring a microscope and the science behind it and decided it could be an interesting symbol of the work carried out at the college. 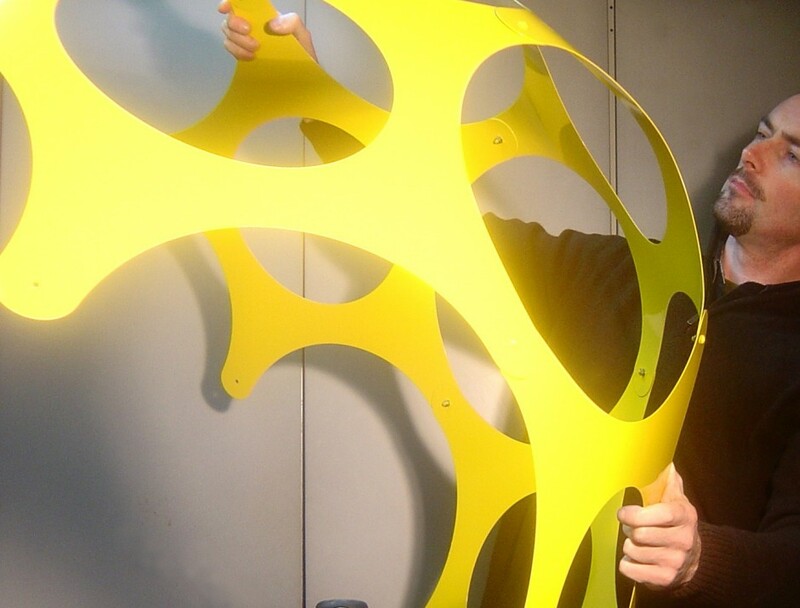 A simple 12 parts structure was designed and produced in laser cut steel plate which was then carefully powder coated to a strong yellow colour. This then sat on a polished stainless steel base cylindrical base with a toughened glass top that housed a series of light fittings.